Whooo! I'm back in New York with a friend and it feels awesome! I feel like I've spent my entire summer here actually! In just less than 1 week, (ekkk!!) I'll be moving into college and gosh am I nervous, but excited. This summer has flown by and soon I'll be a freshman once again. While I was at home, I was frantically running around and picking up all the necessities of college! Everything that I got is laying in my home and the first floor of my home literally looks like an explosion of college supplies. Whoops... I'll be going back home the night before move in day so I think that will be pretty interesting. haha. I'll be tired, but the excitement of getting my new room, finally meeting my roommate in person and welcome events will keep me awake! For my post today, I am doing a haul from Ulta. I actually got these products a while ago, but I've been too busy to actually show them! I'm pretty pleased with the items I got here and I use most of them quite often! I sometimes visit ulta's website online, but I rarely go into their store for some reason. I'm glad I did though since I got to pick up a variety of new beauty products to try for myself! The first product that I got is the Anastasia Eyebrow Powder in the color granite. 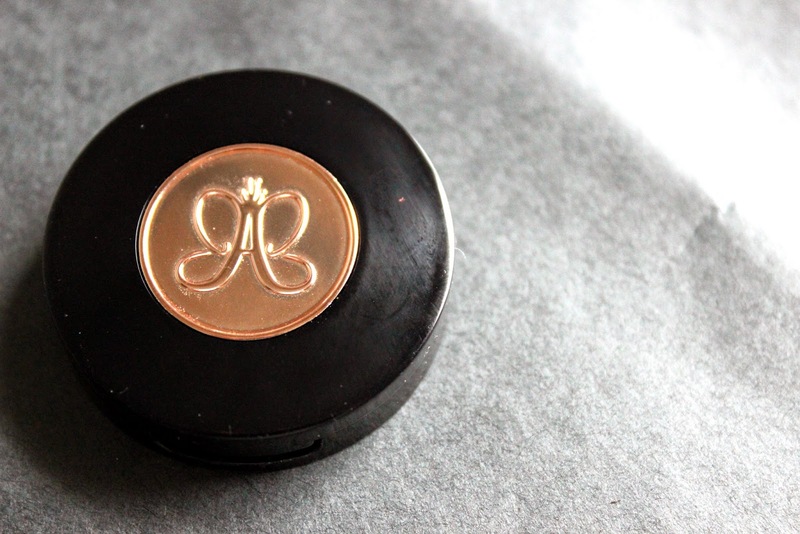 This eyebrow powder comes in a very cute and sleek package with a beautiful rose gold A on the cover. 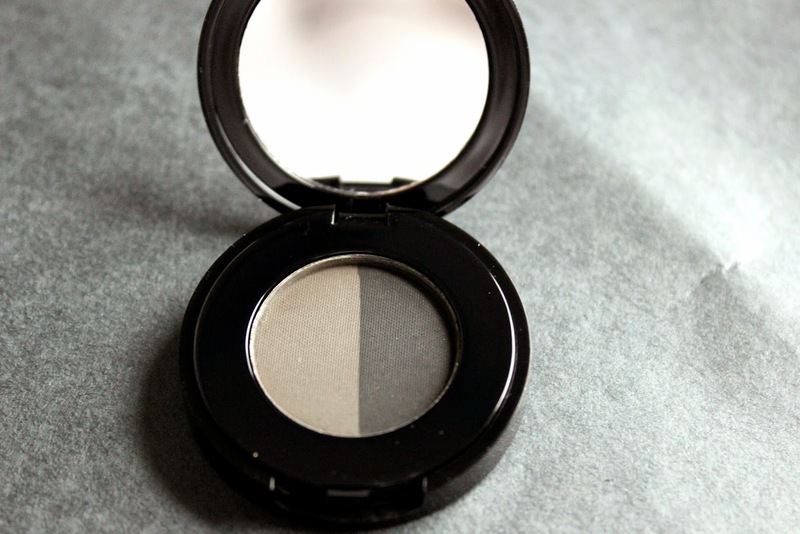 Inside the eye powder compact is a mirror which makes me love the product even more! This brand of eyebrow color has quickly become my favorite due to how perfect the color is for me. I find that this powder looks very natural and flattering on me and can resist fading throughout the day! (huge plus especially in the summer!) I like how the powder gives me the ability to mix two shades to get the perfect match! The dark color is a medium/dark brown while the lighter color is a light taupe color. Usually I'll put the darker on the inside of my brows and fade it out lighter using the lighter shade. The next product that I picked up comes from Lorac. 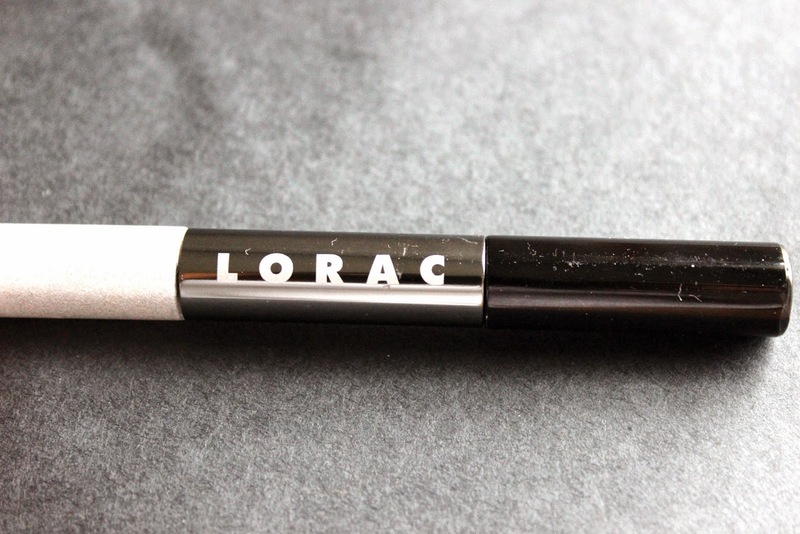 It is the Lorac Duo 3d Lustre Liner in Diamond/Black Ink. These liners are truly gorgeous and stunning combo of colors. One side of the liner pen is a similar to a black liquid liner injected with glitter while the other side is an intense shimmering white packed with chunks of sparkle. The liner comes with a small thin brush making it easier for application. For me, I simply use the black liner first and after it dries, I place the white right above it for a stunning 3d effect! Despite the beautiful finish, I do have to say that to achieve a beautiful look, it might take some patience and practice. The liner takes 2-3 minutes to completely set and if you aren't careful (like me the first few times..), you may end up with a messy eye! Stila is one of my favorite brands for lip products so I was pretty pumped to get to try one of their new liquid eyeliners! I have to say that this line from Stila has some very lovely colors. I was stuck between a few colors, but this teal color was just calling my name. A pop of teal on the eye just screams summer to me and there was no way I could resist it! In the summer, I tend to go very light/no makeup at all. I'll probably just do my eyebrows and eyeliner at most! One thing I do have to warn you about with these liners are the tip. They are much stiffer and harder than expected. You need to press down pretty hard to get enough pigment out of them. The next item is a classic. 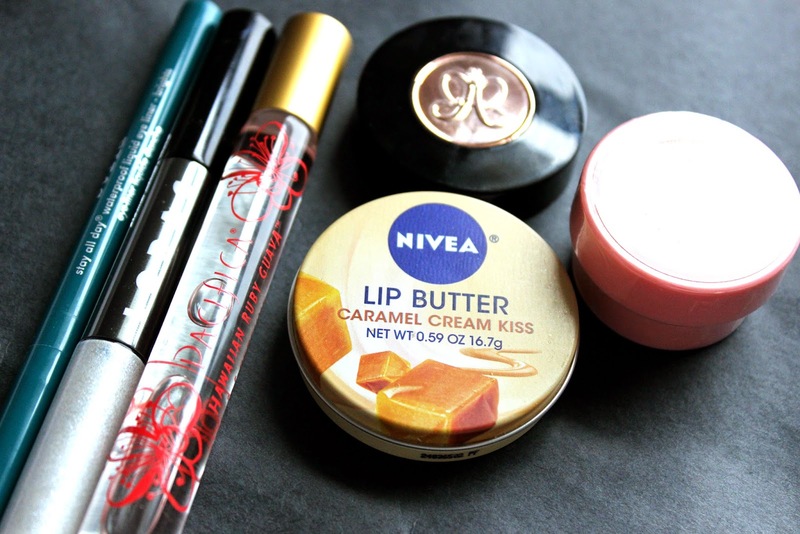 It is the Nivea Caramel Lip Butter. This chapstick was more for my sister since she has always wanted it. 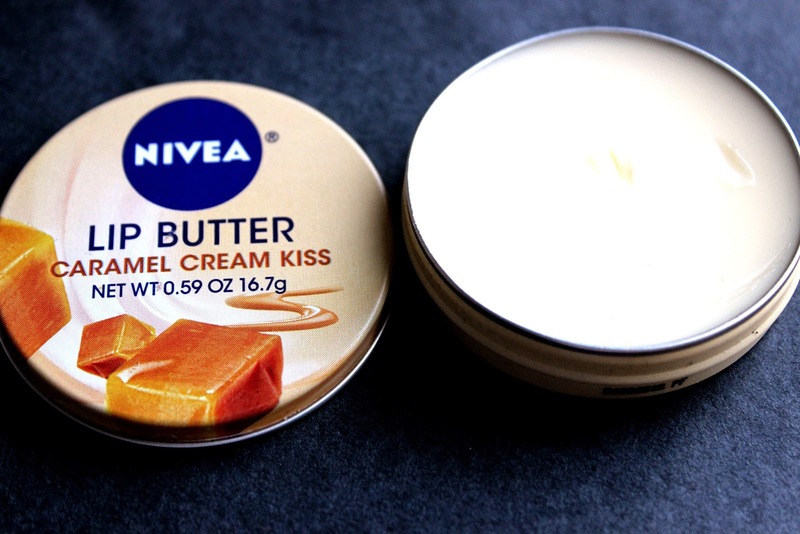 She tried her friend's Nivea lip butter in caramel and fell in love that she wanted a tin of her own! I'm not the biggest fan of caramel, but she loves it. The lip butter has a very pleasant, but not overwhelming scent in the tin. The scent reminded me of caramel popcorn in a way lol. When applied to the lips, it's not as noticeable. The color of this lip butter is basically clear. On the lips, the balm goes on smoothly without feeling too greasy and the staying power of them is pretty nice!! A word of caution though about these is that they tend to melt very quickly so keep this out of the sun! The Body Shop Lip Butter Pink Grapefruit is the next item that I got. 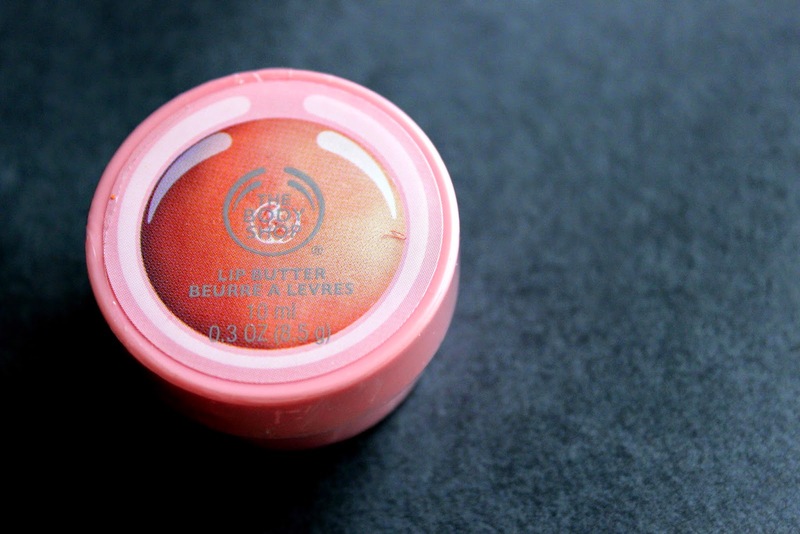 I love the body shop and have always been curious about their lip butters. This little balm comes in an adorable, tiny pink tube which is cute, but hard to use. When I have to apply the balm, I have to dig my fingers in which can be a bit gross. The actual formula of this lip balm is very thick, similar to butter. It is hard, but melts easily with heat when applies to your lips. The scent of this lip butter is just amazing. It smells fruity (like a grapefruit), sweet, and delicious enough to eat! For me, this lip butter last 2-3 hours! Today is Saturday and in 6 days, I will be moving in!! I honestly cannot believe it, but I am so excited!! I've been chatting with my roommate over text and we seem to click pretty well!!! =) I can't wait to meet her in person!! Do you remember your first days of college? Have you ever had a roommate? This will be my first time truly sharing a room with someone for so long so I'm kinda nervous! Wow big haul awesome beauty items love nivea lip balm is addicting lol. Enjoy your weekend. Great haul. I've always wanted to try the Nivea lip butters! And now I want to try that roll on perfume! Thanks! Living on campus wasn't that bad at all! I actually liked it.. Super convinant in my opinion when compared to living off campus! Awesome post! I love that anastasia ones. Have an amazing brand new week! I haven't tried any of the products in this post but they look like a good investment. I only ever had room-mates on a couple of occasions when I was travelling. At uni I had my own room but I lived in a student residence with hundreds of people from all over the world. Hope that you will have a great transition into your new life. Enjoy every moment! Thank you so much! They are really nice investments! I use them still to this day and ohhh having a roommate was actually pretty awesome last semester. We were a perfect match. Sadly she's leaving this upcoming semester leaving me witha single and while I am happy, I am starting to feel lonely! 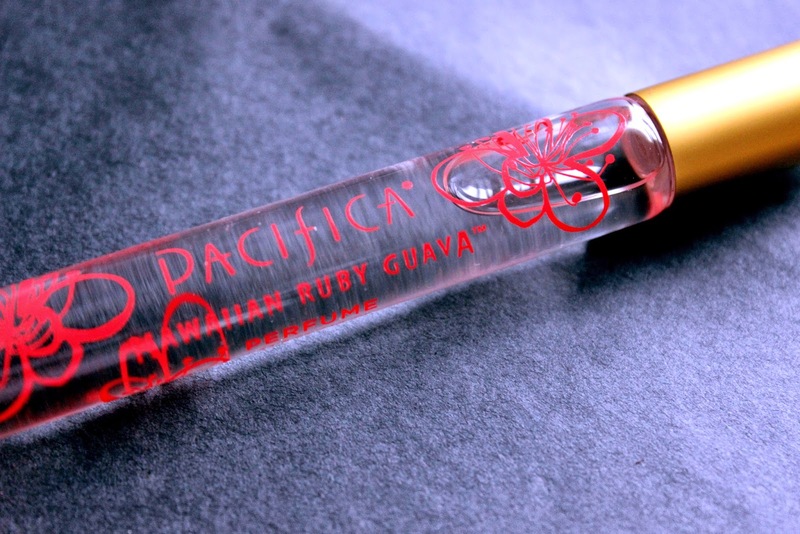 Nice products, I love Pacifica scents! Thank you Nicole! I hope your college move in went well! I'm sorry I didn't get a chance to speak to you before but I'm sure everything went well with move in and your dorm and roommates!! I had the best time last semester in college. Everything is really new there and my roommate and I were literally perfect matches haha. It's crazy how it's already break and a semester has gone!! Yeah the lip butter is so nice especially for winter! Thank you!! I'm done with my first semester and tomorrow Iwill be moving in for my next semester.. hopefully updating my blog more often!! 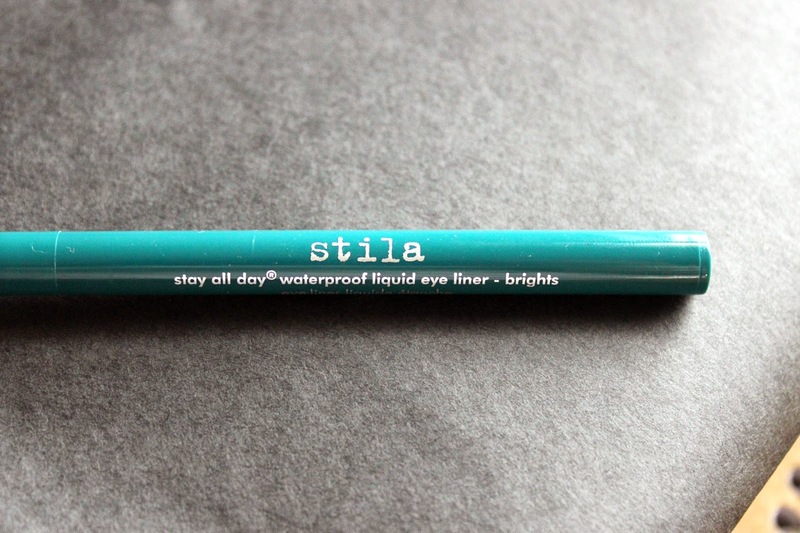 I love the Stila eyeliner! Black is my favorite! It's the best 'liquid' eyeliner I've ever tried.. I'll have to get a new color! Looks like you'd fun shopping! Mmmm... I've yet to try Body Shop cosmetics, but I adore their bath products! Anastasia is a really good brand for brows! Highly recommended! Move in went very well.. I actually go back tomorrow for my second semester!!!!!!! The anastasia eyebrow is soo worth it trust me on that! I use the product to this day still! haha Yeah, eating chapsticks.. it happens! I remember having this chocolate chapstick and ohhh it tasted good! Check out my site? :) If you want to follow each other via bloglovin or GFC, just let me know! ohhh I am interested in the palettes now!! I'll keep my eye on them next time I go to sephora!! Pacifica is such a great brand I agree! I'm glad u enjoyed your summer n going back to college must be hectic for you. I had a roommate before but I didn't like him because of his badass attitude. And I've never tried the products you mentioned above. But I've seen nivea product before. I used its lip gloss when I was in amsterdam. Ok then. Have a nice day yeah? hmm I don't know why either.. I did put my blog to private for a few months so maybe that has something to do with it =) I hope you are doing well!! My roommate this semester was a perfect match. I got sooo lucky. She's gone this upcoming semester which actually makes me pretty sad. I'm happy to have a single but I will miss her a lot! Great picks, girl! Have fun getting ready and transitioning into college! Thanks!! First semester = done and I loved it!! hey hey, long time no see, you no update blog liao? The blue eyeliner is great dear!! Great haul! Looks like some great goodies. Thank you for the post! Merry Christmas! Are you need or like Wedding Dresses，if you need or like and welcome ，jadegown halterneck red formal dresses reviews here you can find best dresses for your big day!